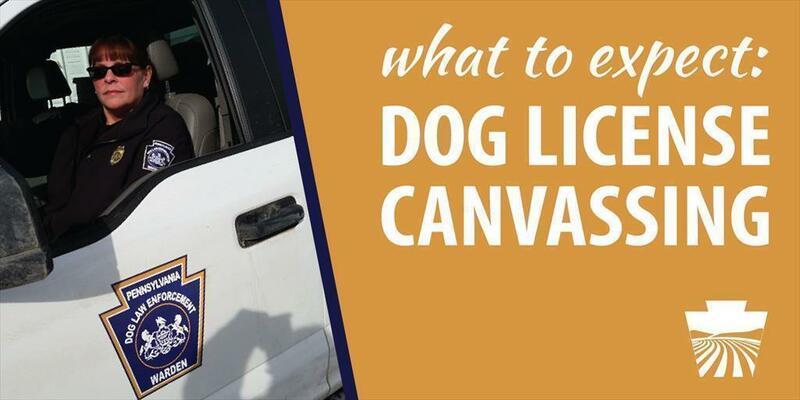 ​You may have heard that Pennsylvania’s dog wardens are canvassing the state, going door to door and checking dogs for a current license and rabies vaccination. But what does that mean? How do you know the person at your door is a warden employed by the state? Are they allowed to knock on your door? Pursuant to 3 P.S. 459-218, Dog Wardens are authorized to inspect all dogs within the commonwealth. Additionally, “State dog wardens and employees of the department are hereby authorized to enter upon the premises of any person for the purpose of investigation. A dog warden or employee of the department may enter into a home or other building only with the permission of the occupant or with a duly issued search warrant.” 3 P.S. 459-901(a). In Florida v. Jardines, the United States Supreme Court affirmed an officer’s right to enter on to an individual’s property for purposes of speaking with the homeowner. This implicit license typically permits the visitor to approach the home by the front path, knock promptly, wait briefly to be received, and then (absent invitation to linger longer) leave. What the Supreme Court’s decision essentially said is that dog wardens can knock on a door because that is something any private citizen — such as a Girl Scout, trick-or-treater, or door-to-door salesperson — can do. As a resident, you are welcome to open the door, or not, and inviting them into your home is not required. So if a dog warden comes knocking on your door, know that they are trained to respect your rights, but ultimately, they’re simply working to protect the dogs and people of the commonwealth.